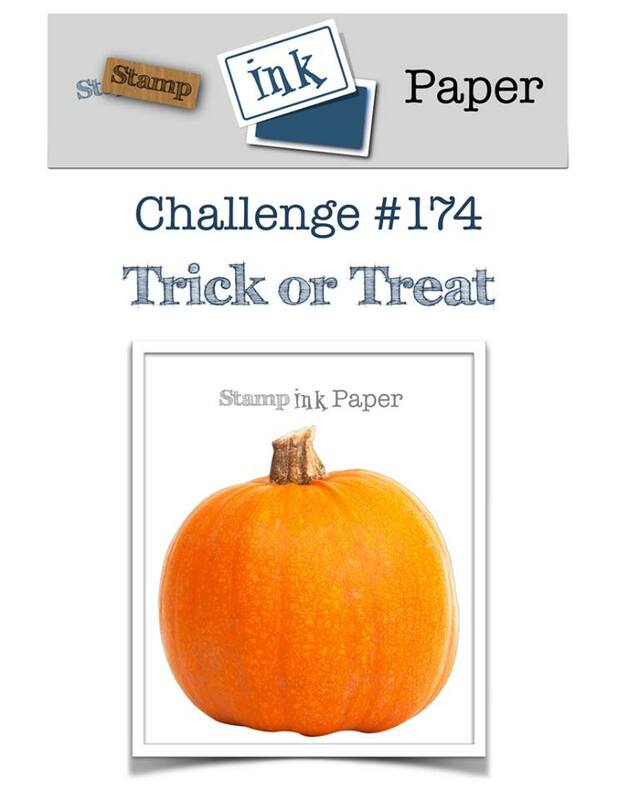 For this challenge we had to option of Halloween or using Fall colours. As I don't really have Halloween stamps (and don't celebrate it) I used my Large Letter dies for this card and some Basic Gray paper from a stack I've had in my stash for years. I bought it thinking it would be great for some Boys cards. 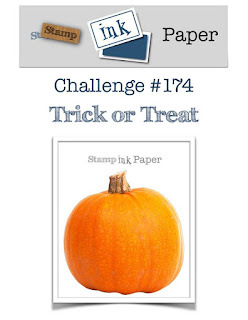 As it happens, its come in handy to create for this challenge combined with some Halloween coloured cardstock. I have Basic Black, Lemon Lime Twist and Pumpkin. I added some googly eyes to the "O"s.
Thanks so much for joining us this week at Stamp Ink Paper. 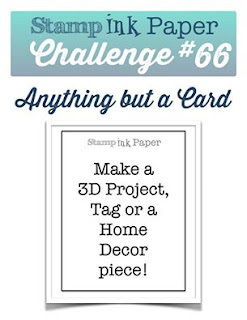 Looking forward to seeing your creations for this challenge. Have a great day.